New high-resolution aeromagnetic data from the Caledonides and Archaean–Palaeoproterozoic crystalline basement of Finnmark and North Troms derived from surveys conducted as part of NGU’s MINN programme provide spectacular and confirmatory evidence for the continuation of diverse, Precambrian greenstone belts and granulite terranes beneath the magnetically transparent Caledonian nappes. Complementary airborne radiometric data collected in the same survey contribute to the analytical process and to an evaluation of the mineral potential in the area. Some parts of existing data have also been reprocessed using new techniques and software to reach the same level as the newly acquired data. The new compiled data provide images of the magnetic field at sufficiently high resolution to allow us to examine finer details of the bedrock geology. One of the principal outcomes of the analysis is a picture of the detailed structural fabric of the region provided by images of tilt derivatives of the magnetic field that enhance anomalies. This fabric is an important framework for developing exploration strategies. Patterns and other characteristics of the magnetic field have been used to revise positions of some geological boundaries, especially in poorly exposed areas, and delineate specific domains within northern Norway. Radiometric data have been used to supplement the magnetic interpretations in some cases. In general, there is a good correlation between the radiometric data and magnetic anomaly maps which can be utilised to re-evaluate the geological boundaries. Several such features of interest are discussed. As an example, NW–SE-trending, fault-bounded terranes or belts which extend from Finnmark and Troms through northern Finland, Sweden and Russia can be easily followed on the high-resolution data. 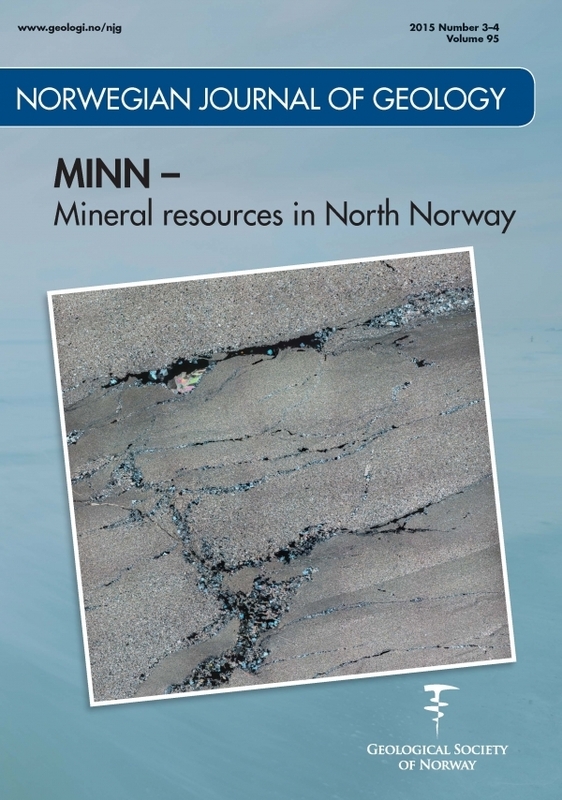 In this contribution, all the main geological terranes from the Archaean–Palaeoproterozoic belt to the Caledonian nappes in northern Norway will be discussed in relation to their magnetic patterns and radiometric anomalies.